A perfect post for this Christmas season. So interesting, Thank you, Jude. 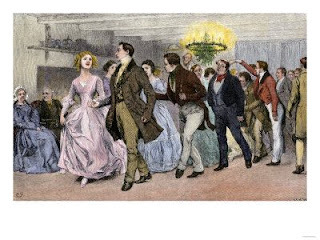 We've all been so changed by Victorian influences that some of the old traditions have been forgotten. 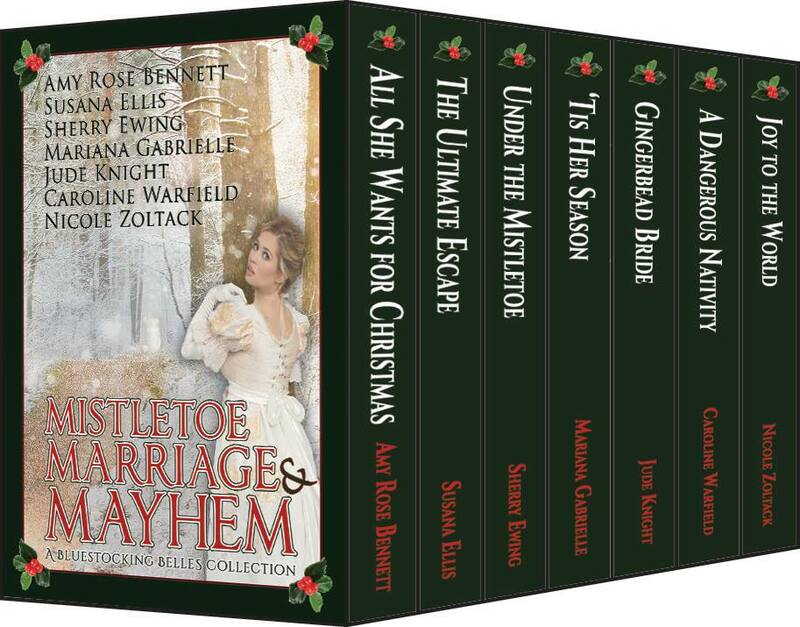 I remember using the mistletoe-berry-removal tradition in one of my books -- to my shame I can't remember which one! -- but I do know that most readers hadn't heard of it. 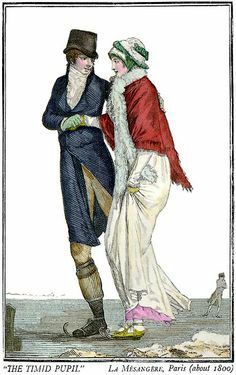 I found it charming, though not, perhaps, if you were the unkissed girl at the end when the mistletoe was bare. 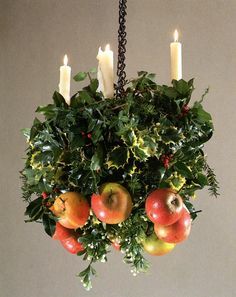 I remember having a kissing bough when I was young. I haven't seen one in several decades now; is it a custom which has died out? Nice. In most of teh Spanish-speaking world, the main day for gifts remains "el día de los Reyes" i.e. Epiphany. Sort of logic, when one considers it. Thanks for your kind comments. 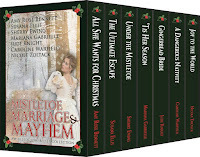 I've written two novellas and a short story set in Christmastide, and I had fun doing the research. A fun fact I couldn't use is the background to our expression 'eating humble pie'. 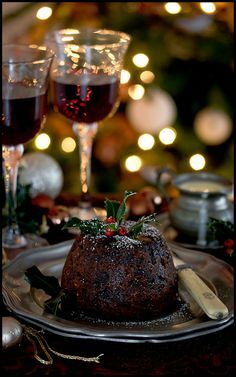 In medieval times, as in Regency days, anyone who could stretch to the cost or could spare a beast or a fowl for the table would have roast meat - a boar, a deer, a goose, or a cockerel - as part of their Christmas feast. 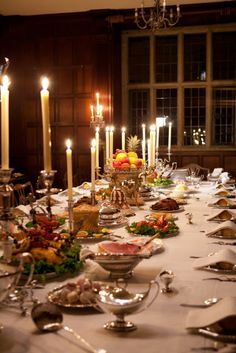 Those who couldn't put meat on their own plates would be given scraps from grander houses. People of such humble means would put these meat scraps into a pastry case with gravy, in a dish that came to be called humble pie. Of course then, as now, there'd be people with grandiose plans for earning, or winning, the prize they needed to supply their own feast. And when Christmas arrived and the promised goose failed to materialise, they'd be stuck with eating humble pie. A really fascinating post, Jude. What a wonderful post, Jude! Lovely, Jude! 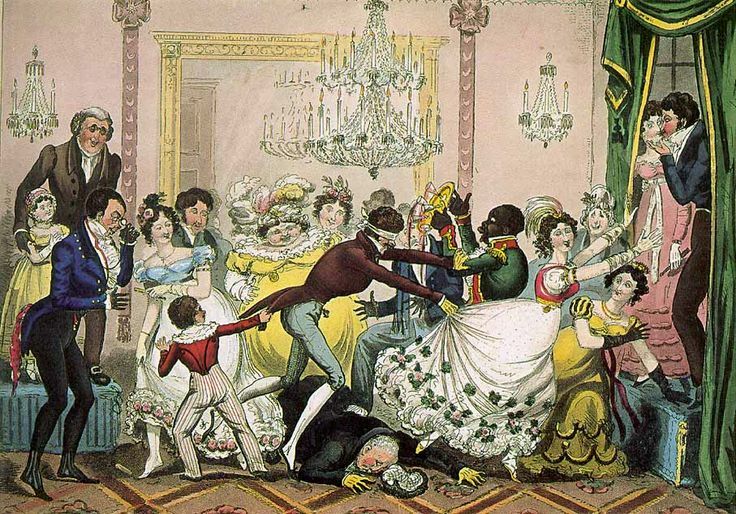 I thought I knew it all about Christmas in the Regency but you added some new facts. Just bought my copy of the anthology! Excellent post! Chock full of interesting info.When I lived in Belgium and Italy, both of those places still give gifts on December 6th, as well as on Christmas.